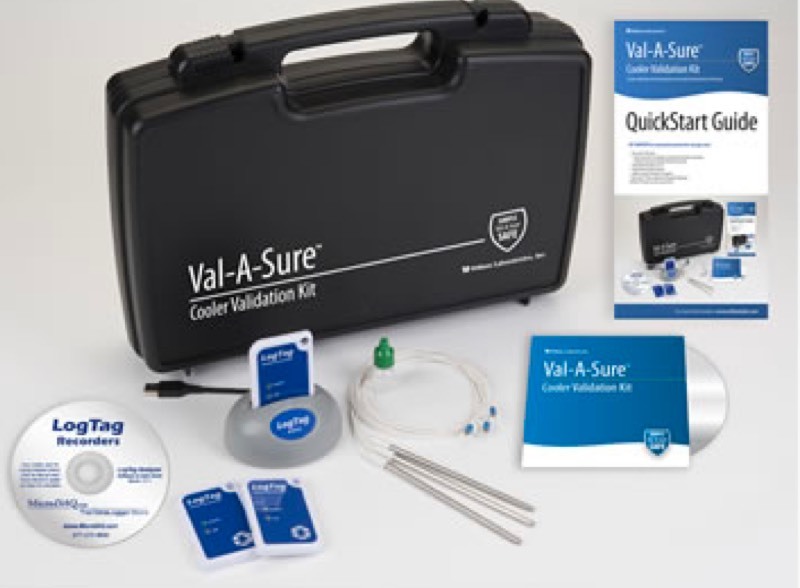 Our Val-A-Sure® Cooler Validation Kits were developed based on hands-on trials and feedback from blood banks and laboratories. The result delivers a simple, consistent and accurate solution for the speed of process blood banks and labs told us they need – all in one integrated kit. You specify the overall recording time period – 4, 6, 10 or 12 hours – and the recorder will continue to record temperature data at the time intervals set by you. Step-by-step video instructions for a variety of cooler validation procedures – included on DVD in each kit and available in the Support section of our website – make setup easy for laboratory and blood bank staff. 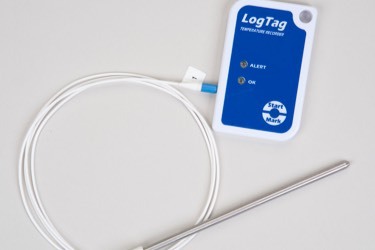 The LogTag Analyzer software generates graphs, individual time and temperature readings and gives you the ability to print out validation data to support your records. Using the editable Validation Protocols provided on the DVD and our website, you can also create customized documents. Combined, the protocol and temperature reporting gives you the validation documentation that you need. The Val-A-Sure Kit can also be used to validate coolers and containers that transport all kinds of temperature-sensitive biologicals – vaccines, tissue, human organs, serums, specimens, pharmaceuticals and laboratory samples. With multiple temperature recorders and internal sensors, or using the optional bag sealing probe, temperature readings can be taken at various locations throughout any transport container. Unlike other probes, the bag sealing probe is the optimum diameter for the blood bag spout. Once inserted in the bag spout; it will not leak blood products during your validation. Depending on your needs, order either the standard Val-A-Sure Advantage Kit or the Custom Kit. The Advantage Kit will meet the needs of most blood banks and laboratories. As your needs change, you can add additional temperature recorders, bag sealing probes and calibrations to customize your existing Val-A-Sure Advantage or Custom Kit. 2 TRIX-8 Temperature Recorders with internal sensors for measuring temperature between bags or locations within cooler. 2 TREX-8 Temperature Recorders with external sensors, includes bag sealing probes for measuring temperature within blood bags. Includes 4 ml glycerol. TRIX-8 Temperature Recorder with an internal sensor measuring range of -40oC to 85oC for measuring temperature between bags or locations within cooler. TREX-8 Temperature Recorder with external sensor measuring range of -40oC to 99oC – includes bag sealing probe calibrated at 6oC. 4 ml glycerol included. TRED-30 Temperature Recorder with LCD display, and external sensor measuring range of -40oC to 99oC (replaceable battery). Includes bag sealing probe calibrated at 6oC. 4 ml glycerol included. ®LogTag is a registered trademark of LogTag Recorders Ltd.